Our business is designed to make maintenance around your yard, acreage or in your business a faster and easier process. We offer a huge range of quality products from leading brands in the industry. We are proud to be a Stihl shop selling the entire range of STIHL quality products, parts and accessories. Our trained staff will show you how to start and maintain your new product and, your machine will come to you ready to use, already assembled, fueled and oiled ready for you to start the job. We don't sell our products in a box all the hard work is done for you. 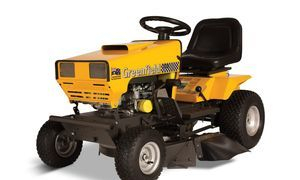 We also pride ourselves on selling the product that suits your needs and budget.We offer and extensive range of Ride on Mowers, push Mowers, Mulchers and other products from leading brands in the industry: VICTA, BRIGGS AND STRATTON, FERRIS, GREENFIELD, SIMPLICITY, GRILLO, SANLI, MURRAY, WORLD-GUARDIAN, ATOM AND MORE.We won't sell you a machine that will not do the job, there's nothing worse then getting your brand new ride on mower home and it won't climb the hill in your property or wont slash your paddock. Our trained staff are hear to assist you and work out what machine is designed to do the job you are needing it to do. Not all machines are the same they are all designed to do different jobs. Buying the right machine for the right job ensures you get the full lifespan out of a machine and value for your hard earned money. We are also here for you after your purchase to service and help maintain your machines. We stock of huge range of parts for most brands in Australia even if you have purchased your machine elsewhere. We also are warranty agents for all the machines we sell as well as most brands sold elsewhere. Our qualified mechanics can service machines purchased from our store and most other retail stores. Our accessory shop offers everything you need from a file for your chainsaw, line for your brushcutter, oil for your mower or a trailer to tow behind your ride on mower to carry all your equipment. You can also use your Gem Visa as an everyday credit card. Shop with ease – anywhere, anytime. For larger purchases enjoy 12-24 months interest free. Conditions apply.